Strong alternative to the BMW 3 Series and Mercedes C-Class. Superb ride comfort and fuel economy. Eight-speed automatic is excellent. Not a lot of room in the back. Boot is smaller than its rivals. Some of the interior plastics feel cheap. 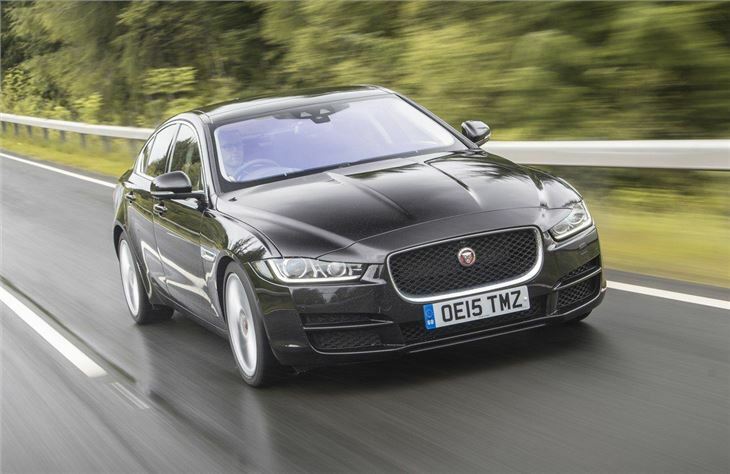 Report of severe vibration from engine of 2015 Jaguar XE 2.0D (180) at idle. Thought to be due to failure of the vacuum engine mounts. 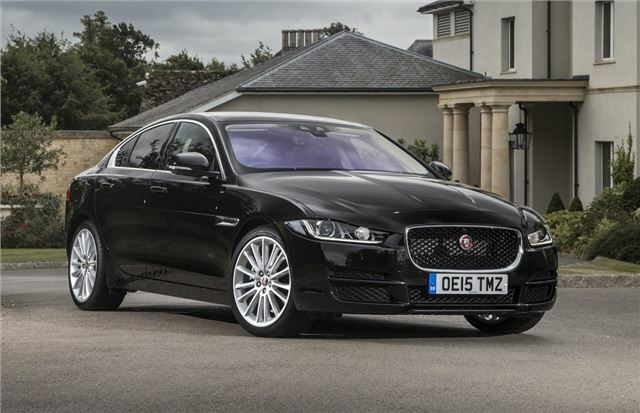 It’s been a long time since Jaguar has been a big name in the in world of compact company cars, but the XE has renewed its fleet appeal with attractive styling, a satisfying drive and outstanding fuel efficiency. The Jaguar XE takes a lot of its styling cues from the XF, using the same aluminium construction techniques to rival its German counterparts for weight and rigidity. 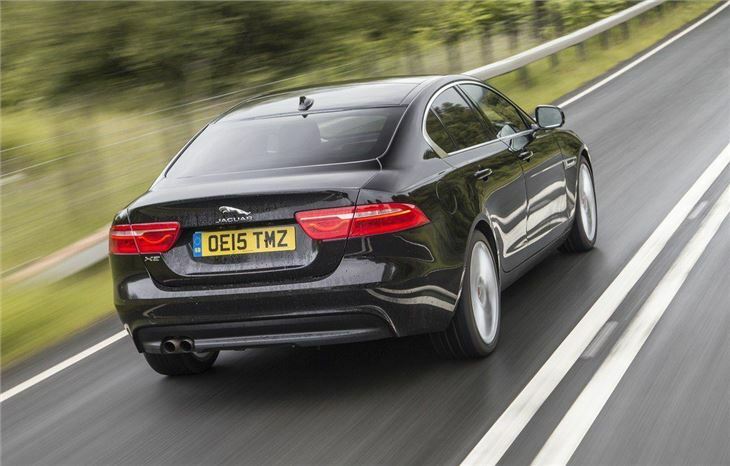 As a result the XE is extremely good to drive, with excellent balance and steering. The suspension also impresses, striking a good balance between comfort and engagement when it comes to tackling challenging corners. All XE model are rear-wheel drive and most come with a six-speed manual gearbox as standard. 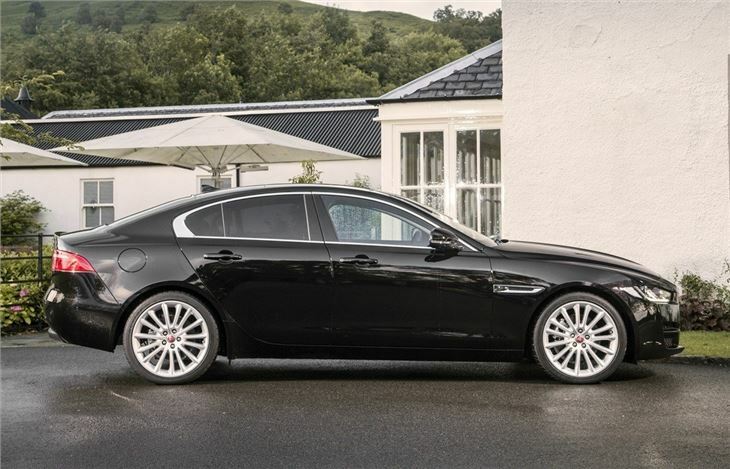 However, we’d recommend upgrading to the excellent eight-speed automatic as the manual box isn't the best. 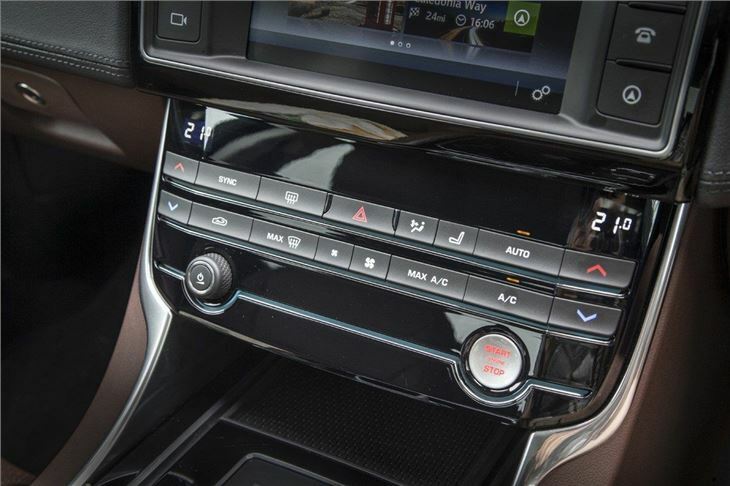 The cabin of the XE is comfortable and well-equipped, with cruise control, navigation and a smart rising rotary controller - for automatics - included as standard. However, there are a few areas that disappoint on quality and some of the plastics feel below par. The layout of the dashboard and conservative styling also lacks the innovation of Audi and BMW equivalents, which makes the XE feel a little dull inside. 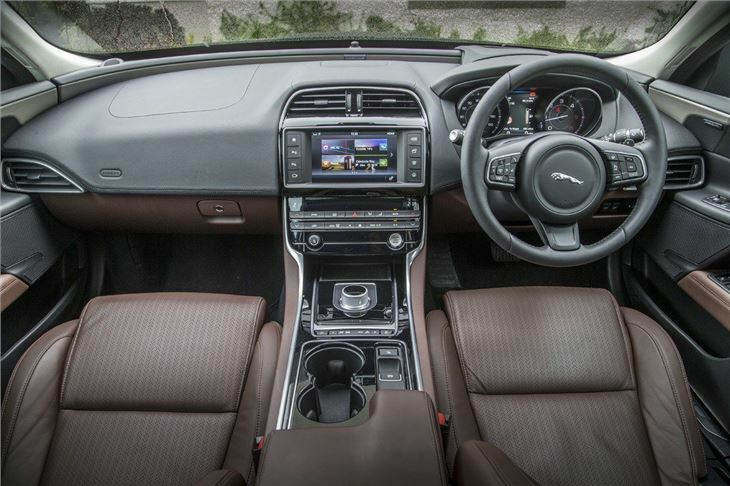 The XE doesn't match its rivals for interior space either, with the sloping roof and limited rear legroom making it a tight fit for large adults. The 455-litre boot is also smaller than its German rivals, while the narrow opening makes it tricky to load large items, although the rear seats can at least be lowered to provide more space. 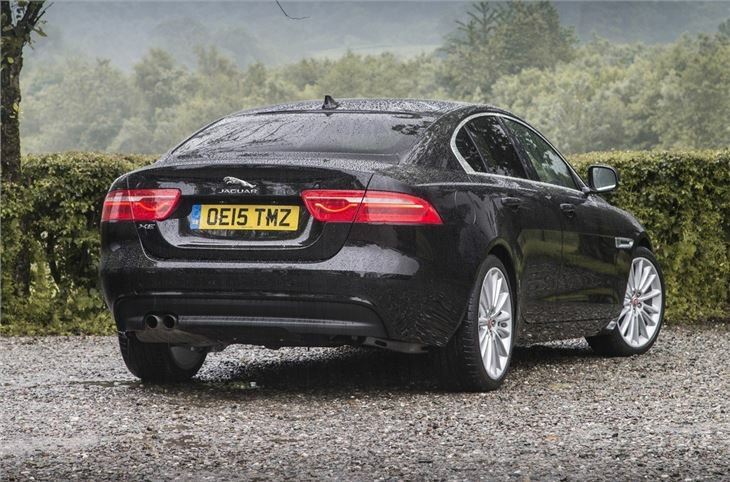 The Jaguar XE is still an impressive car though, even if it isn't the German company car-buster that some claim it to be. Both the Audi and BMW are better to drive, while the Mercedes-Benz has a smarter interior with more space. However, that said, the margins are very small and there's no denying the XE's excellent value and low running costs. Great looking, excellent performance and economy. Has the right performance,badge and look, but disappoints in many respects.